Once you have found the new community you plan to become a part of, it's time to think about which block of land you should choose to kick off the home ownership journey. This shortlist of items to consider will help get you started on finding the right one! It's definitely a chicken or egg situation and the answer comes down to the individual, and neither option is more right than the other! Some new home buyers fall in love with a particular home design, then knowing the block size they need, they can narrow down their land search to suit. For those that find their ideal location first, it's a good idea to make sure a home within your budget can work for your block. Opting for a house and land package is a smart solution, saving you the stress of finding the perfect design and block combination. 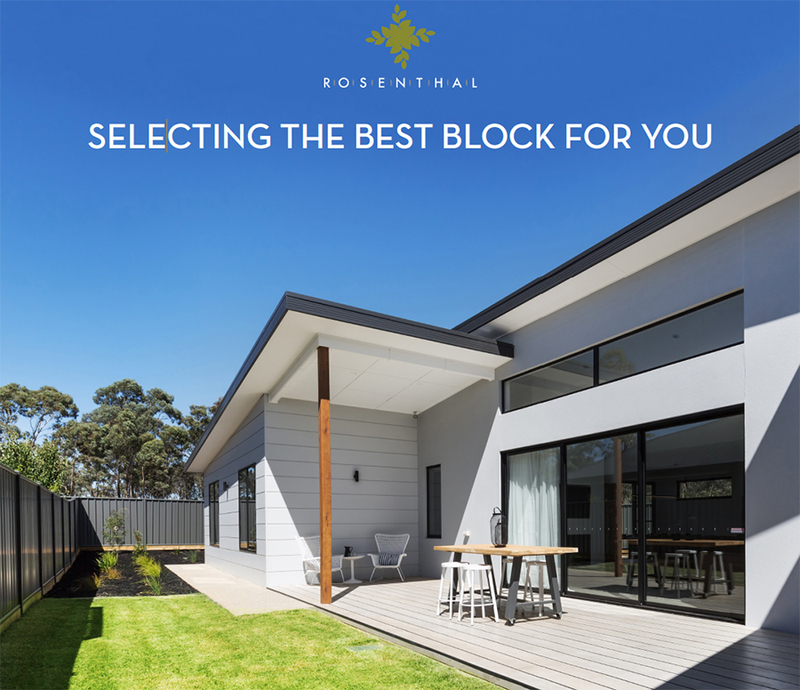 With a package, the best blocks are chosen by the experts and paired with a range of homes that will suit, and often the price is fixed with site costs inclusions and upgrades all factored in. All that is left to do is customise to your style and make it yours. It's a good idea to check out what will be around your chosen block, by consulting the masterplan and speaking to the land agents. If your home site fronts onto a park, then perhaps you could compromise on backyard size, or if a corner block is your choice additional costs may be involved, however this can provide benefits in terms of more space at the side and the opportunity to have a more impressive street presence with the two frontages.Also, review walking distances to public transport and shops, busyness of streets, and even check the street name to cover all bases. Many new home buyers prefer to choose blocks where their backyard space is facing north to maximise their energy rating (making the most of the winter sun, and protection from the summer sun). What is important is how you can site your home on your land to enable you to live comfortably through all seasons and enjoy your alfresco and outdoor areas. Importantly, when on the hunt for the perfect block of land it's a good idea to have a budget range in mind, which may mean also doing your homework for building costs for a complete picture. Knowing how much you can spend on the land component will save a lot of time and keep you focused on what's realistic. Make the most of the land selling agents at your chosen community, they are a valuable source of information, and can offer advice on blocks to suit your budget, home design ideas and general lifestyle needs.